Continuing our exploration of The Almighty Set List and discovering what it’s like to see Weezer live again for the first time, here’s some special news about Weezer letting fans vote for the which of their fan-favorite albums the band will play during Riot Fest on October 9th. So what it’s gonna be? 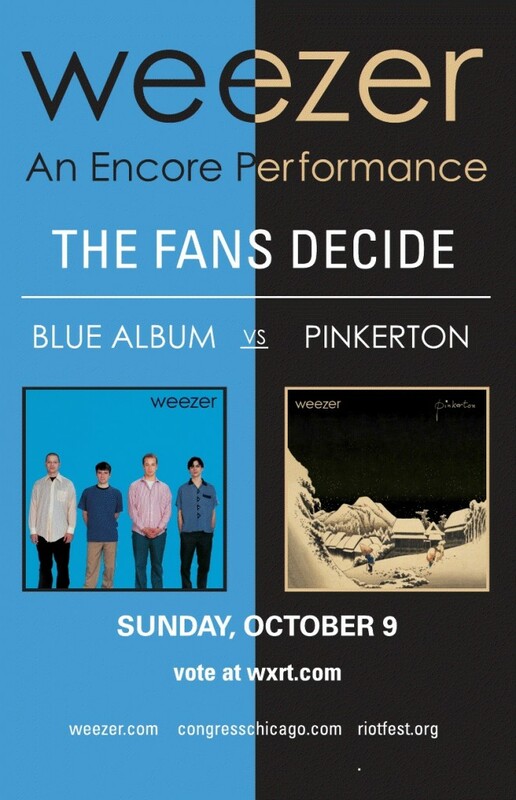 Pinkerton or The Blue Album? Which album would sound better live? Which album conjures more memories for you? Voting started today and runs through September 26 at 10 am CST and is sponsored by Chicago’s WXRT. Cast your vote here. And then tell us your Weezer experiences in the comments below, and we’ll share your story on a future episode of Live Fix Radio.